Lymphoma and leukemia are both cancers of blood cells, blood cell precursors or even blood stem cells that are programmed to form blood cells. While a lymphoma is present as a solid tumor mass in lymph nodes, spleen or thymus, leukemia is characterized by a massive expansion of malignant cells in the bloodstream. Both leukemia and lymphoma are fatal diseases. Therapies exist, but are a heavy burden on patients and in many cases cannot prevent relapse of the disease. In cancer research, one of the major objectives is to render current therapies more efficient and more tolerable to patients. To be able to do this, the molecular mechanisms behind the emergence and maintenance of blood cancers and the intricacies of the cells that form blood cancers have to be known. 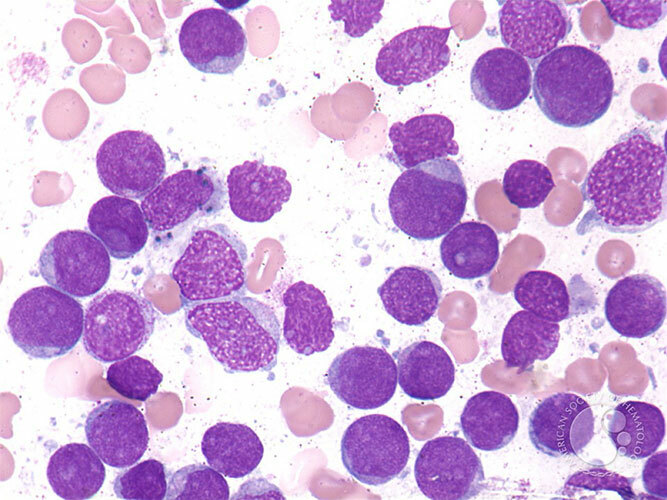 We have identified a group of three proteins (called Miz-1, c-Myc and Bcl-6), which control the transcription of genes in normal blood cells and their precursors and which seem to be critical for the development of specific types of lymphoma and leukemia. How these proteins work together in blood cells and whether they represent a suitable target structure on which future therapies can be built on is the goal of the present project. We will use mouse models, in which the genes for these proteins can be switched on or off under conditions where lymphoma and leukemia develop. 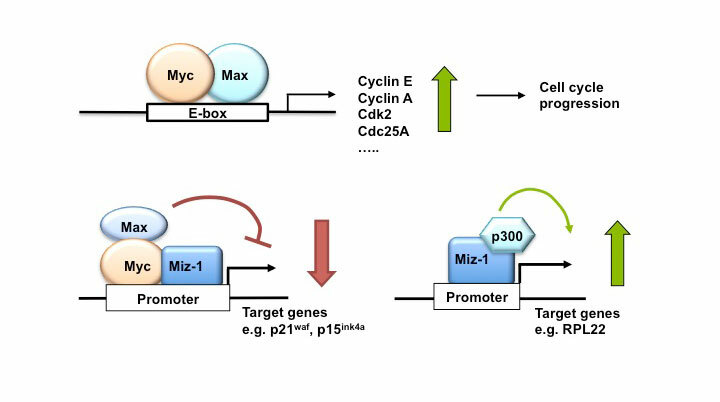 We expect to generate important information that will pinpoint the function of the Miz-1/c-Myc/Bcl-6 complexes and the molecular pathways that they control as a critical element that could be targeted in future therapies against leukemia and lymphoma.